another year is coming to an end and we are pleased to inform you about the latest developments in our association Kids of Maseno. Austine Otieno and his team are always busy, successfully helping to sensitize others for Deafness. In 2014 again, they visited families with Deaf children and talked to their parents and relatives about how to communicate with the former. These visits have also proven that the families are still eager to attend courses in sign language. This is the reason we will continue to offer these courses even though the number of participants slightly decreased. We believe that this is due to the dire economic situation that the country is in since the plight in 2011. Tourism as well has decreased due to the difficult security situation. We can only hope that the situation will improve in 2015. We are hoping for even more interested relatives, attending the team’s sign language classes next year! 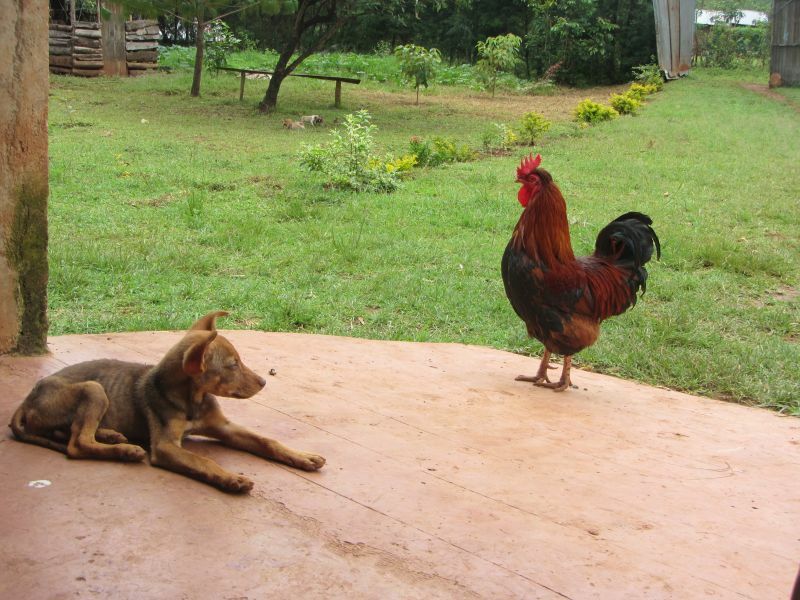 To raise further awareness in Maseno, Austine Otieno and his team have founded a soccer team. They hope to support the integration of Deaf people into community life by participating in local sport events. 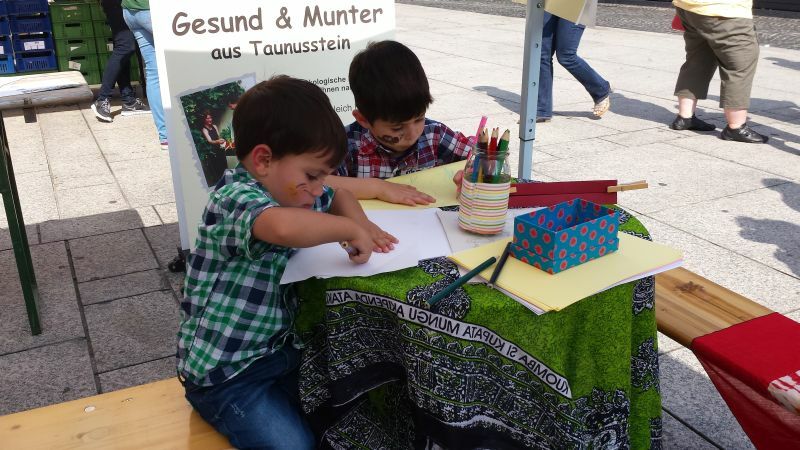 In Germany, we also tried to raise more awareness of the situation of Deaf people by representing Kids of Maseno at the local Sonnenmarkt in Mainz. This event takes place since 2007. This year, 38 organisations from the field of „Renewable energy and sustainable life styles“ presented themselves to the public. Kids of Maseno offered information about Deafness and our projects as well as interactive games. We have been shocked by the fire in the classrooms of our school in the beginning of 2014 but are glad to announce that no one was hurt. Only the teaching material has suffered. Concerning the children’s home, we are pleased that the first three children moved into their new home. 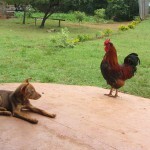 They are looked after by two volunteers. Both already have experience with Deafblind children and have proven themselves as competent assets to the team. One of them, Stephan Omondi, has taken on the task to create a program for leisure activities after school. 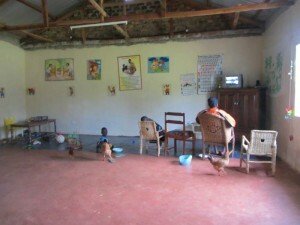 The children’s home is not fully equipped with furniture, yet. There are only five beds so far but we hope to acquire more furniture in 2015 so that the children can live in a cozy environment. 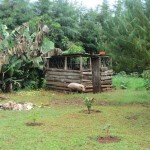 Self-sufficiency: The stock farming is growing! 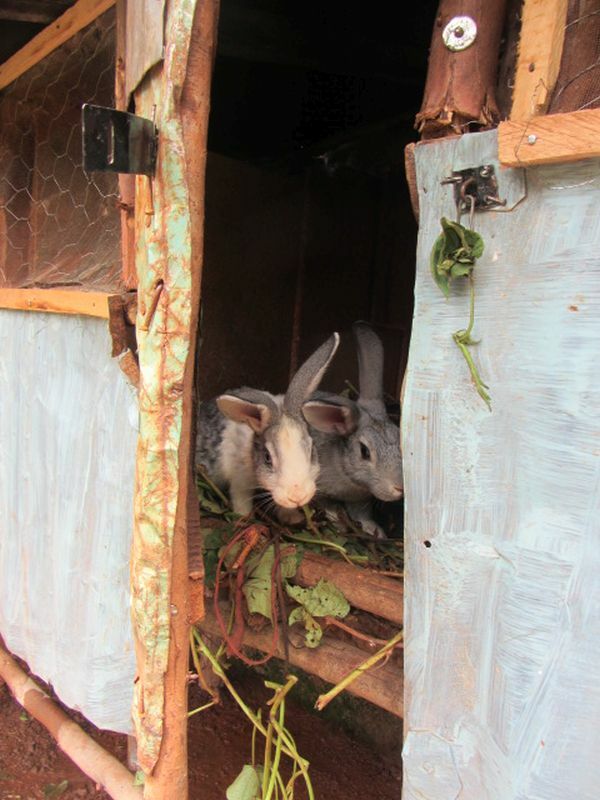 The team takes care of rabbits, chicken and a pig. The latter gave birth to some piglets in spring. 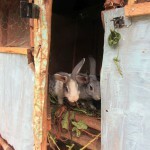 The sale of rabbits and eggs financed the purchase of new teaching materials. With the income generated through stock farming, the team will buy new furniture and start the construction of the second house of the children’s home. Sponsorships are the most important pillar of our work. The children need them to finish their education. We are therefore grateful for your commitment and hope you will continue to be a sponsor in 2015. 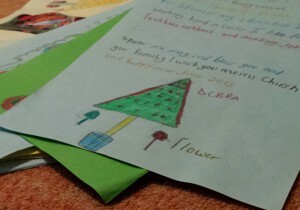 The children made Christmas cards for their sponsors which have already been sent out. Our funds came yet again from private sponsors, our members and via the internet platform betterplace.org. We have come closer to our goal to build a children’s home: The first building is finished and even though there is still some furniture missing, the first three rooms are inhabited and two more will follow. 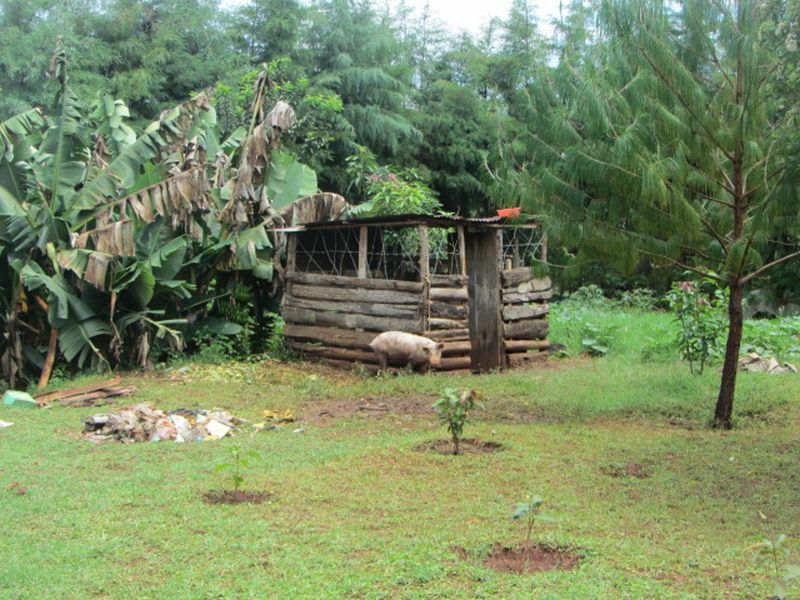 The team in Kenya now plans on constructing a playground so that the children feel at home. We will continue to raise awareness for Kids of Maseno at local events and ask for your help: Tell others about our work and invite them to visit our website. Ask your friends, family and colleagues to join our good cause. Because: The butterfly effect, it really exists! 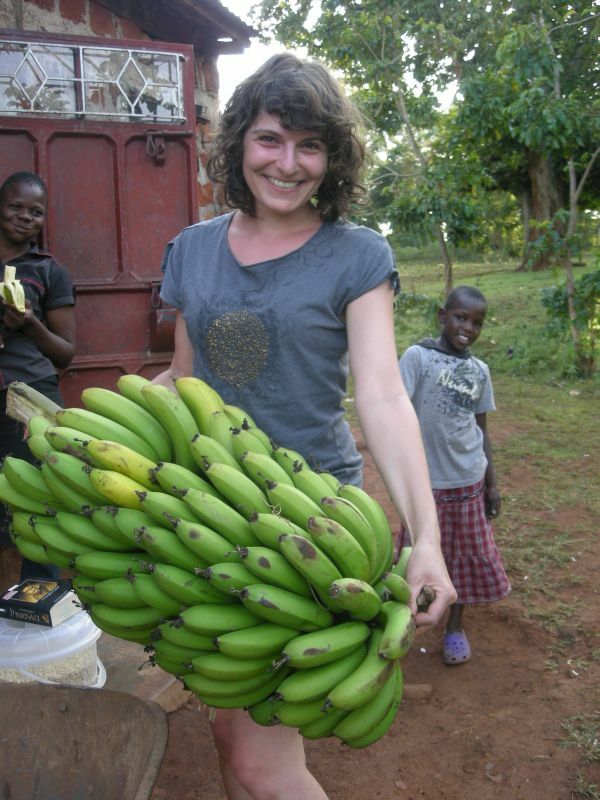 The actions of every single one of us, dear sponsors and friends, has made our project Kids of Maseno possible. We want to thank you for your commitment and look forward to the next year together.